The Nvida Shield TV Experience Upgrade 5.2 adds a slew of goodies. There's refreshed Plex integration, 4K video casting, and a bevy of new apps and games. The Nvidia Shield TV Experience Upgrade 5.2 greatly enhances an already capable device. In a June 2017 update, Plex added a live TV feature to its DVR functionality. As part of its Nvidia Shield TV Experience Upgrade 5.2, the Shield TV gains dual USB tuner support. This allows the Shield TV to act as a Plex server and DVR. Since the Nvidia Shield TV Pro iteration boasts a 500 GB hard drive, the Shield TV Pro can store a bevy of content. Similarly, the Nvidia Shield TV Experience Upgrade 5.2 yields functionality to record DVR shows to network attached storage (NAS) devices. 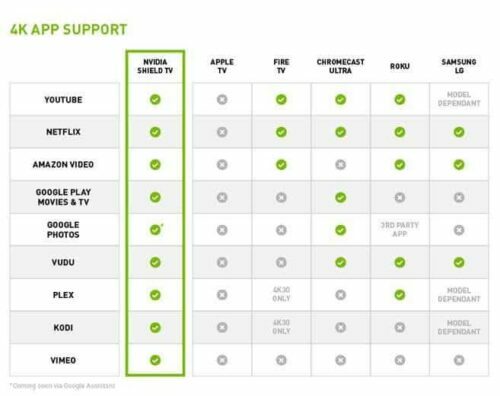 Nvidia Shield TV 4K app compatibility. 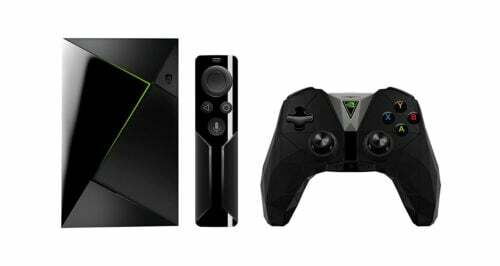 Moreover, 4K support gets a facelift in the Nvidia Shield TV Experience Upgrade 5.2. While the Shield TV already featured the strongest lineup of 4K streaming support including the likes of Netflix, Amazon, and YouTube, there's now 4K casting support. With the latest update, the Shield TV now sports casting in 4K to YouTube and Netflix. However, 4K casting on Nvidia Shield TV is contingent on individual apps. 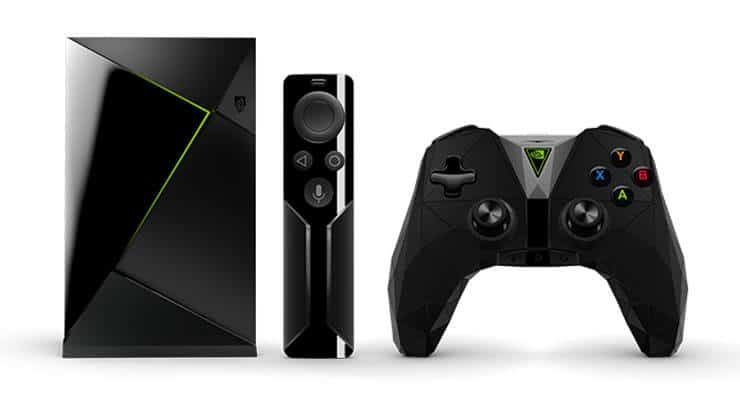 The latest Nvidia Shield TV Experience Upgrade 5.2 proves that the Sheild TV is one of the top streaming devices available if not the best Android TV box. It's versatility as a streaming TV set top box, game console, and Plex client as well as server make the Nvidia Shield TV a force to be reckoned with. Continued updates and enhancements from Nvidia like Plex DVR support are a testament to Nvidia's partnership with app developers and willingness to update hardware in accordance with the latest software updates. Additionally, it's the device to own if you're seeking a foray into 4K streaming. Already own an Nvidia Shield TV? Try these seven tweaks after initial setup and check out our step-by-step Nvidia Shield 2017 setup guide. Do you own an Nvidia Shield TV? What are your thoughts on the Nvidia Shield TV Experience Upgrade 5.2?